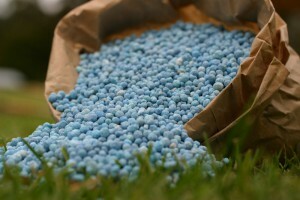 Spring is coming and it’s time to apply fertilizer! Soon the flowers will be in bloom, grass will be green, and weeds…will be here. Whether you are a commercial hay producer, a garden enthusiast, or your goal is to have the best looking lawn in the neighborhood, we have the knowledge and the ability to help you achieve your goals. American Plant Food fertilizers are in stock in 15-5-10, 10-20-10, 15-15-15, 21-0-0, and 33-0-0. We also carry Nature’s Guide Organic Fertilizer 4-1-2, poultry based and 5-1-2, alfalfa based. We also have Texas Tee that is a 6-2-4. Ultimately Growth is also in stock. Whatever your need is, we can order it for you! We also have the ability to take samples of your soil, send them to a soil laboratory to be analyzed, and custom blend a fertilizer that is right for you and your soil. Pick up your custom blend at Mansfield Feed Mill or we’ll deliver it to you! Come see us! This entry was posted on Tuesday, March 13th, 2018 at 3:21 pm	and is filed under News & Updates. You can follow any responses to this entry through the RSS 2.0 feed. Both comments and pings are currently closed.